Black 1000 denier nylon with red Ruger embroidered logo. Fits Ruger® Super Redhawk Alaskan® and 4" Redhawk® revolvers. 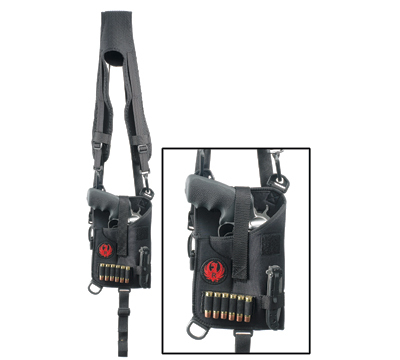 Features a unique comfort harness system, a radio or cell phone loop, a zinger ring, a 6-loop .44 mag or .454 Casull ammo band, a square Velcro fly patch, and a Velcro retention strap. Made by GrovTec. Available in right and left-handed models. Ordered the left hand version. Seems durable and very comfortable after wearing for 6 hours. Adjustments to length fairly easy, I’m 6’1” 240lb. Had to cinch down quite a bit to make it stable. Holds my GP100 6inch barrel perfectly. Also holds my Beretta 96 very well. 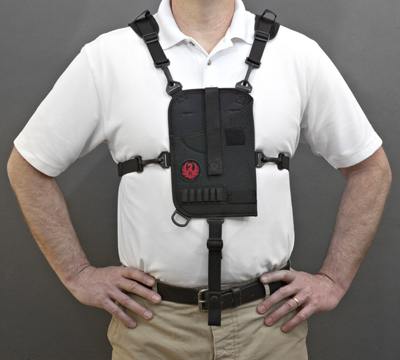 Hip carry feels somewhat uncomfortable for me, so this is a nice option for camping, hiking, and carrying while wearing a coat. 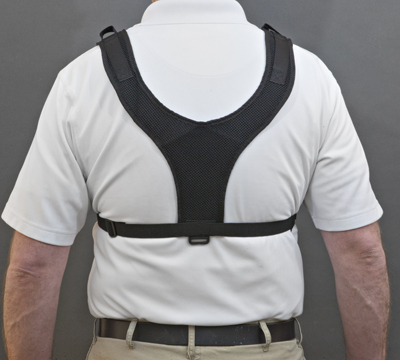 Would recommend highly for chest carry use. 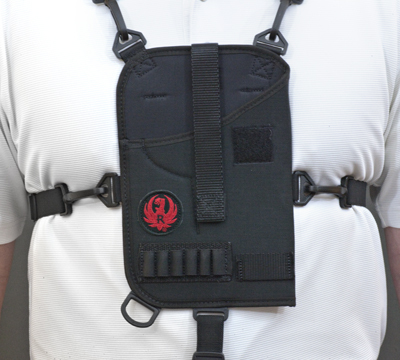 Have not tested bullet loops for retention, but did find that you can attach a mag pouch via a molle. Not sure if that’s the intended use of it, but held snug.